Dr. Stefan Kasian specializes in brain health protocols and healing medicine retreats that integrate the latest medical technology advances with ancient health principles to yield transformative outcomes. 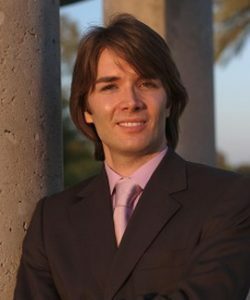 A Duke University graduate, Stefan earned his Ph.D. in Psychology (Systems Neuroscience) from Saybrook University. He trained at Southwest College of Naturopathic Medicine in Tempe, AZ, and completed a Residency in General Medicine at Bastyr University, in San Diego, CA, where he has stayed as Adjunct Clinical Faculty. He has collaborated with world-class minds at Duke University Medical Center, Rockefeller Institute in New York City, University of Virginia, the Monroe Institute and Arizona State University. Visit Brain Spa Doc for more information.